I put together this costume last minute. 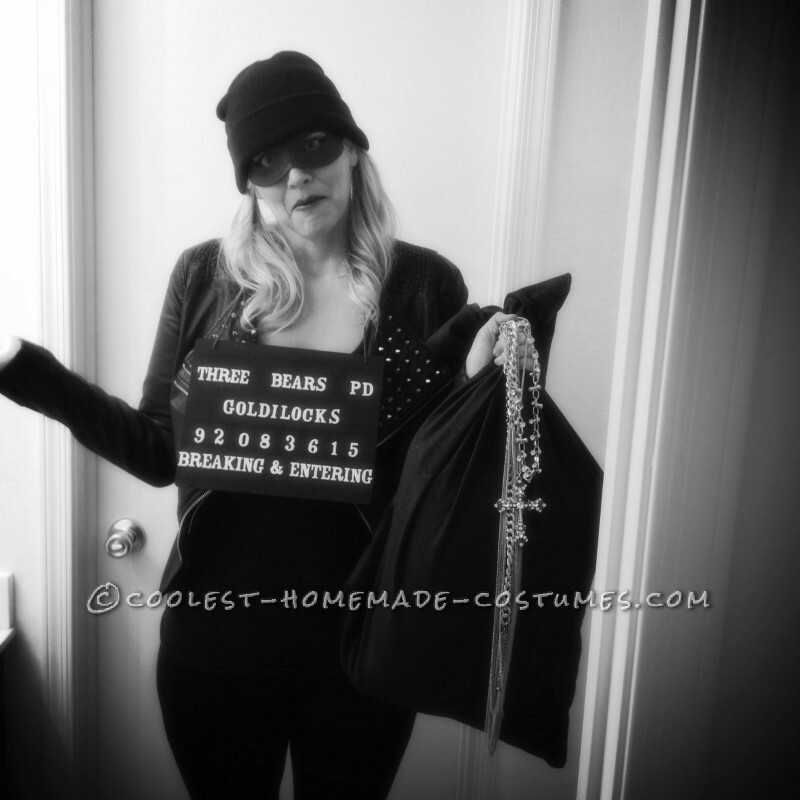 I had seen a cartoon of Goldilocks as a mugshot, thought how funny, and what an easy costume to put together. I had the black beanie and gloves, wore black clothing and boots. I bought a chalk board at Walmart for $1.97, black mask for $1.00, and foam letter and number stickers for $3.00. I used the foam sticker to make a mugshot board with booking numbers and all. Attached string to the board and hung it around my neck. The reactions I got were “you’re so creative”, “ha ha too funny”, and from my younger son “oh I get it she broke into the Bear’s house”.